Bob, the Gazelle, Ezell was a true “River Rat”. Born at Kern General Hospital, his parents brought him home to his first house on Beardsley Avenue. A product of the tent city that bordered the north bank of the Kern River, Bob’s Dad moved them to various military bases during the war. Later, as a student at Standard School, his family moved to the “projects”, former WWII Army/Air Force barracks, at the corner of Francis and Diane streets. In the fifth grade they moved to their home on Barnett Street and lived there throughout his high school years. 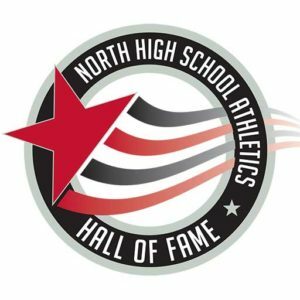 Bob enrolled as a freshman at North High School and earned 10 letters in three sports; four as a varsity player in football, basketball and baseball. During 1957 and 1958, Bob led the football team to an SYL Championship where he received the award for All-League Quarterback. Also during his senior year, he led the basketball team in league scoring and lettered in baseball. This three sport athlete received the Harry Coffee Award for the most outstanding football player at North High, the Sam Lynn Trophy as the most outstanding high school athlete, and, was selected as a quarterback for the Senior Bowl All-Star game. Following high school in 1958, Bob went on to Bakersfield College to play football, but, due to an injury in the All-Star game, he was only able to practice his freshman year. Because of his effort on the practice field, he was awarded a Potato Bowl jacket for the game-winning Renegade team. In 1959, Bob was the quarterback on the team that won the Junior Rose Bowl, and, in 1960, led the “Gades” to another Potato Bowl win. Bob is probably the only former BC Renegade to have all three championship jackets in his closet. Upon leaving Bakersfield College, Bob entered the University of Nevada at Reno on a football scholarship. At Reno, he played quarterback and safety, because in those days, you had to be a “two-way” player. After graduating from the University of Nevada, Bob worked as a teacher/coach for the Kern High School district at Foothill High School. While at Foothill, he coached football for 37 years winning nine league championships. In addition, Bob coached girls’ softball for the Trojans for 10 years. Bob grew up in Oildale with sisters Alva Jean and Shelia and brother Billy. Bob has two daughters, Kim and Lonnie, and, two sons, Vance and Kevin. He and his wife of 32 years, Claudia, now call Morro Bay home.